We are still marveling at all the blessings from the fall 40 Days for Life-Dallas campaign, breaking the world record with 6,200 participants in the 24/7 prayer vigil. Plus 115 babies were saved outside the 5 Dallas abortion centers during that 40-day period – praise God! With the continuing success of the Dallas fall campaign, plus the closure of the Planned Parenthood in Sherman after the first 40 Days for Life vigil outside its doors last spring, this international campaign of prayerful and peaceful witness is expanding to McKinney. And we need your help and support to do it! The largest-ever Spring 40 Days for Life campaign begins next Wednesday, February 22 and continues through April 1. McKinney is hosting the closest spring campaign in the Dallas area. The McKinney prayer vigil will take place from 7 a.m. – 7 p.m. in the right of way outside the Planned Parenthood at the northeast corner of Medical Center Dr. and Eldorado Pkwy (map and parking directions). Please stay on the sidewalk and do not park on or enter the property where Planned Parenthood is located. Click here for additional vigil guidelines. 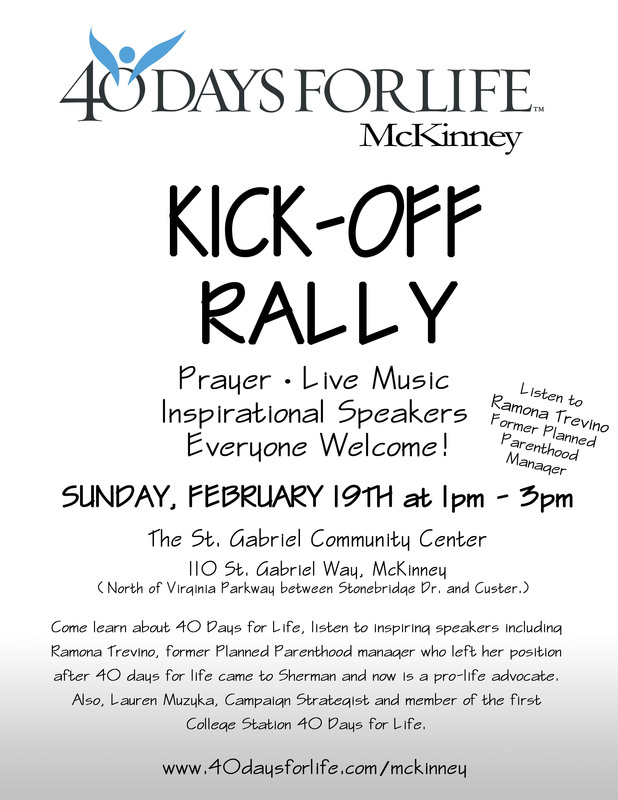 The McKinney campaign's Kickoff Rally is Sunday, February 19th at 1 p.m. in the St. Gabriel Community Center, 110 St. Gabriel Way, McKinney, featuring Lauren Muzyka from the national 40 Days for Life team and former Planned Parenthood manager Ramona Treviño. Click here for additional details about the rally. 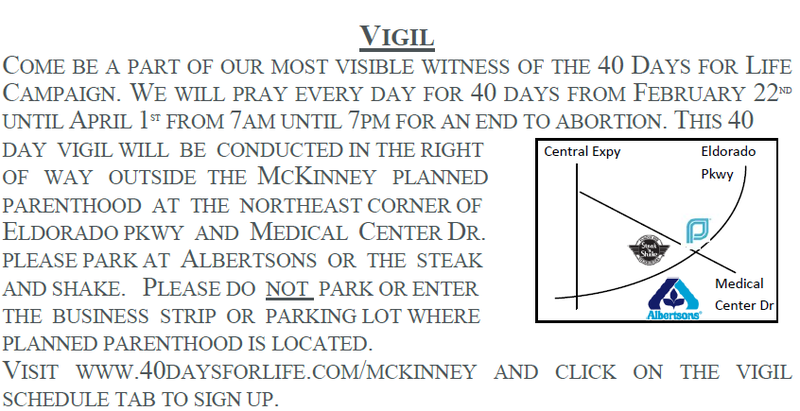 For more information about the campaign and to sign up for the prayer vigil, visit 40daysforlife.com/mckinney. or 469-767-5785. 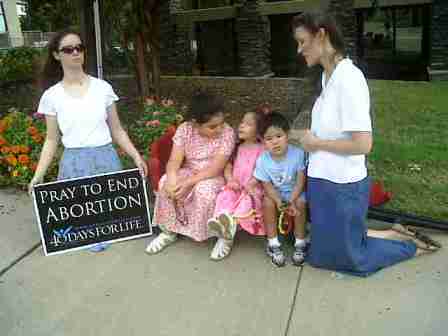 Visit prolifedallas.org/sidewalk for more information.